Today I went for a lovely meander through Borders bookshop. Mmmm…delightful! There is nothing like the smell of a bookshop, and with the increasing popularity of e-readers, book covers seem more attractive than ever. Publishers seem to not only be ramping up the quality of book cover artwork, but the range in textures is booming: there are books that feel fabric covered, books with pliable canvas-type wrapping, and reprints of classics like Wuthering Heights in black embossed moleskin-like covers, complete with elastic binding strap. I love paper printed, holdable, page-turnable books. But…I also love my Kindle. One one hand this is not a new space to be in. Remember when we all started getting iPods? And getting all worried about the relevance/importance of our CD collections, complaining about how cover art would be lost along with a sense of ‘the album’ as people started buying more singles? It turns out that for me, this hasn’t really been too troubling – I buy most music electronically now, but I do still tend to buy albums rather than singles, and many albums do come with their album artwork, albeit in an electronic file. I don’t at all miss having a bazillion identical (breakable) plastic cases to house my music in, and when someone who I’m a real ‘fan’ of releases an album…well, I do still tend to buy the CD! For a few, I even have bought a vinyl copy. I wonder how long it will take for self-proclaimed bibliophiles to strike a similar level of comfort with the move to electronic readers? Or are they just worried that using a Kindle is going to kill the book store? I confess that being in the book store today did make me stop on this particular concern. But CDs are still around, and books are WAY cooler as objets d’art than CDs ever were. So perhaps it’s time to relax. Reading the Draft Australian Curriculum for English (‘DACE’…?) I can see that confusion over the meaning of ‘multimodal’ text is about to cause English teachers some major problems. Multimodality is based on the use of sensory modalities by which humans receive information. These modalities could be tactile, visual, auditory, etc. It also requests the use of at least two response modalities to present information (e.g. verbal, manual activity). So, for example, in a multimodal interaction a user may receive information by vision and sound and respond by voice and touch. Multimodality could be compared with ‘unimodality’, which would be based on the use of one modality only to receive or present information (e.g. watching a multimedia presentation and responding by pressing keys). …but that’s not the definition that ACARA are going with. The definitional confusion between terms like multimodal, multimedia and media has been around for a while, and speaks to the significant changes in what is considered core content in English brought about by the rise in visual and especially digital texts. We are very familiar with the concept that language can be spoken, written or heard…but when it comes to texts that combine these modes, things are still a little muddled. In this Preface to the curriculum content descriptors multimodal texts seem to be pitted against texts that are ‘literary’ (which creates even more confusion as the definition of literary appears to change with each new use). I can appreciate that the ACARA curriculum writers have had to avoid using the word ‘text’ because of the political beat up the term has received in recent years from certain op-ed writers in certain newspapers. 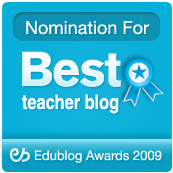 That is why this new curriculum has reverted to the more traditional term Literature – and it is because of this change that we are now supposed to say, it seems, ‘literary text’. Oh brother. The constant reference to ‘literary texts’ is supposed to be a nod to the strand content being described as ‘Literature’. But this is ultimately VERY confusing, as ‘literary’ texts are separated from ‘non-literary’, digital’ and ‘multimodal’ texts in the Preface. There result is that there is no sense in this strand of multimodal texts being included. In the NSW English syllabus, students engage in what we call a range of language modes. These are: speaking, writing, representing, listening, reading and viewing. So ‘multimodal’ could reasonably be taken to mean ‘using more than one language mode’. This would make film, picture books and digital stories (which use a combination of visual and written language) and many other forms of text multimodal. OK, I can work with that. But another thing we do in NSW English 7-12 is differentiate between the activities of composing (which involves text ‘making’ or ‘creation’, not just ‘writing’) and responding (a broader term than ‘reading’ which encompasses the ‘reception’ of all kinds of text). 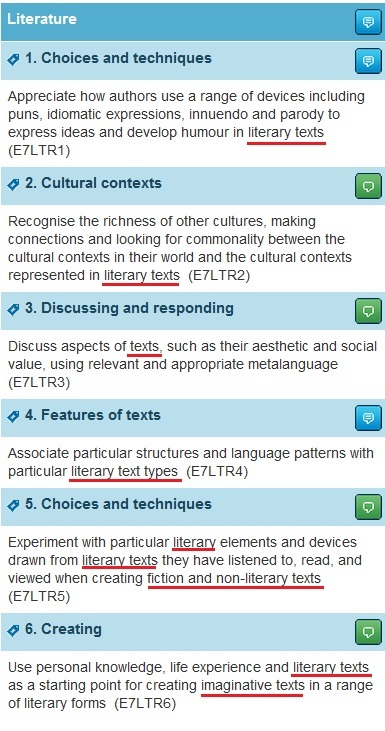 These activities are viewed as always interrelated in some way, but I would say that it is only when text explicitly invites the audience to participate in the text (e.g. in video games, virtual reality, and participatory narratives such as Inanimate Alice) that the term multimodal should really be applied. If I’m going to give up the term ‘multimodal’ to the meaning of ‘using more than one language mode’, then I’m going to need a NEW WORD that I can use when I mean ‘texts that the audience helps to construct’. Currently this recognition of interactivity, and of the interplay between responding and composing, is severely lacking in the DACE. If you are an English teacher and haven’t yet responded to the consultation on the Draft Australian Curriculum, I implore you to log on to the ACARA site and say something about these contradictory and frankly bizarre definitions. I can’t be the only one who feels like the curriculum writers just didn’t use a glossary! Faced with the prospect of a shiny new curriculum that is supposed to be clarifying professional meanings and terminology for all teachers, students and parents across the nation, these definitional conflicts are something that must be sorted out before we go any further. Agreed? 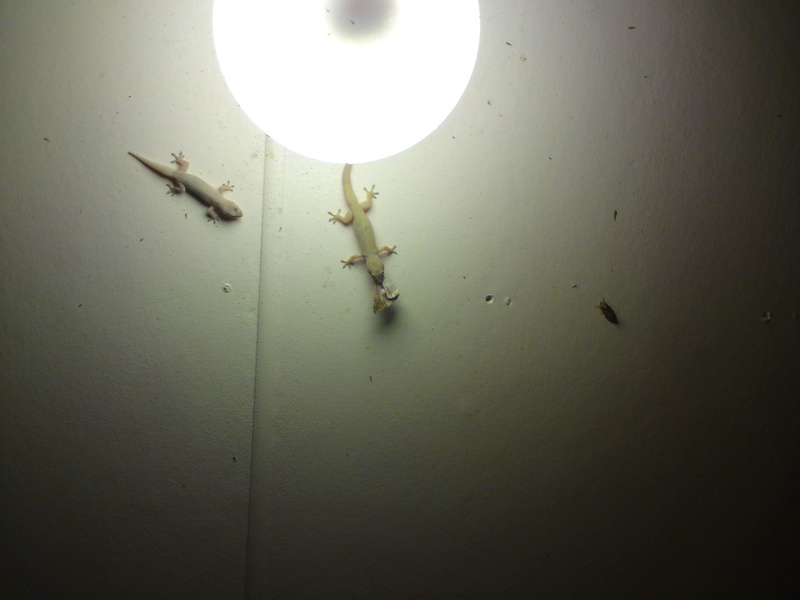 One of the lovely things about the move to Queensland has been the geckos that reside in the area. Usually when they make it into the house I take them back outside. As a kid I often handled common fence skinks in the garden, so these little geckos don’t phase me (spiders are another story entirely). The main reason I take them outside is because I’m worried I will accidentally squash them or something if they stay inside! But yesterday another baby one turned up in the bathroom, and I’ve decided that it can stay. Reading this forum it looks like droppings can also be a problem if you have lots of geckos, but right now it’s just the one. The forum also has lots of references to the pests and insects that geckos eat, so that is a bonus. 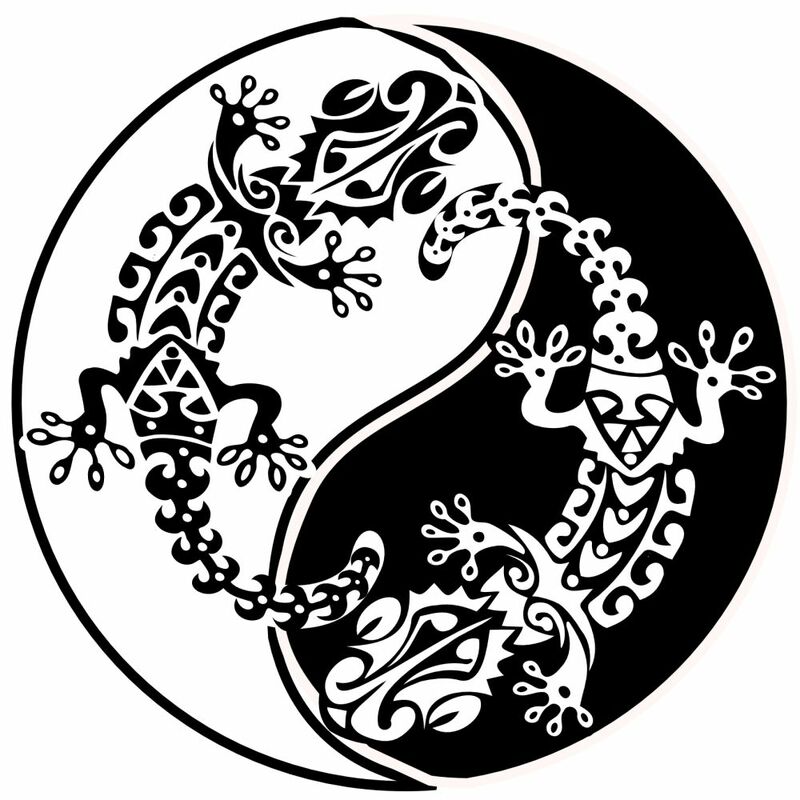 What do you think…to gecko or not to gecko? 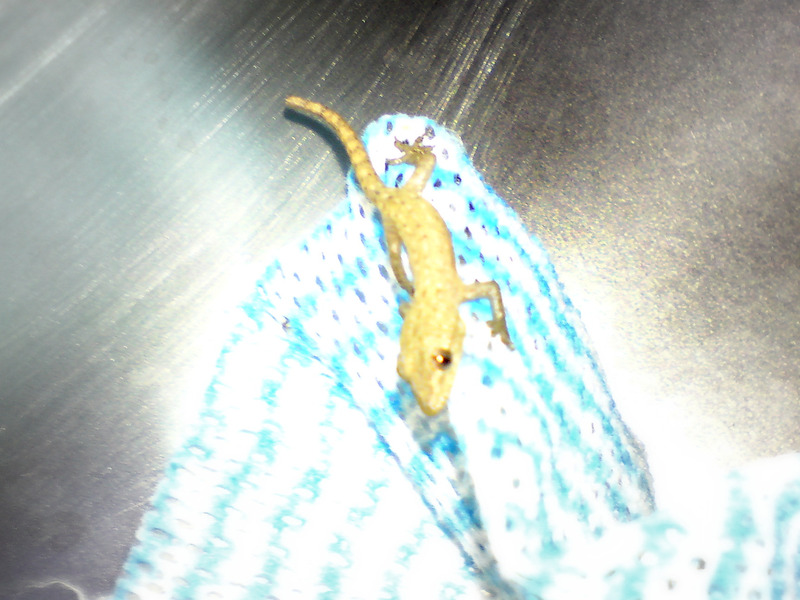 Does anyone else keep these critters hanging around indoors, or should I take it back outside like I did with the others?